Blair-Lowther Funeral Home has a rich history of providing families high quality service with a caring touch. This philosophy began with our founder, Ira Blair. 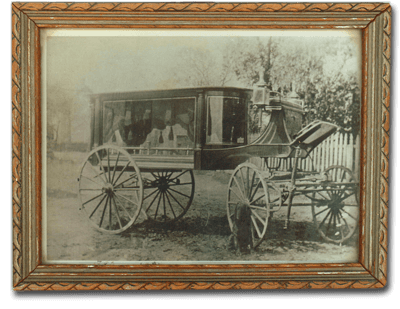 The core values of the funeral home have also been passed down through the years to Ira's grandson, Elbert Blair Lowther, and then on to the current owner, Keith J. Adams. Blair-Lowther Funeral Home. was founded by Ira Blair in the town of Perryopolis, Pennsylvania, on February 1, 1897, as the Ira Blair and Sons Funeral Home. Ira ran the business along with his sons: Russel J. Blair (first mayor of Perryopolis and a former state representative), Herman W. Blair (member of the Pennsylvania State Board of Funeral Directors, and former frontman for the Joe Silvo Band), H.D. Blair, and Ray C. Blair (both licensed funeral directors). This original incarnation of the business did things a little differently from how they are done today. At the time, most aspects of a funeral service were conducted at the home of the deceased: embalming, preparation for presentation of remains, viewings, and funeral services. Today, most of what goes into a funeral is done on location at the Blair-Lowther Funeral Home. Although viewings and services may not take place in the home of the dearly departed, John Fabry makes it a point to make families feel as though they are at home and put families a little more at ease with the passing of loved ones. It's this upholding of tradition that has allowed Blair-Lowther Funeral Home to be successful for over 100 years. So successful, in fact, that we have been the funeral home of choice by many generations of many families.